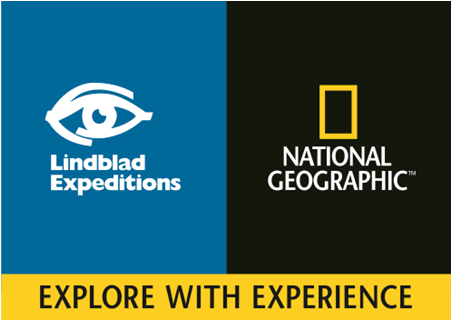 Lindblad’s offers exclusively natural geographic cruises, which it coordinates with the well-known nature brand. The two entities have signed a multi-year agreement (expires 2025), so Lindblad won’t lose this exclusivity any time soon. Lindblad does not just offer basic cruises. These are highly specialist one-of-a-kind offerings, that Lindblad has the exclusive rights to. As a result, the company has pricing power and economic moat. No other cruise line operator in the world can use the National Geographic brand to sell cruises to some of the world’s most beautiful natural destinations including Antarctica and the Galapagos Islands. Wealthy retirees and millennials’ desire to spend money on experiences over tangible consumer goods will insure the demand for the company’s services remains robust. 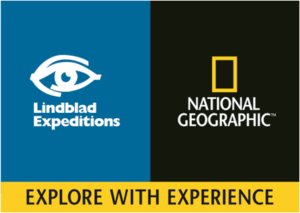 Further, the fact that Lindblad offers a one-of-a-kind offering, means the company can charge more than traditional cruise line operators (the company enjoys industry-leading net yields in excess of $1,000 compared to $200 or less for industry leaders such as Carnival, Royal Caribbean and Norwegian. The average trip price is $10,900.). Even though Lindblad has been operating for decades, the company’s shares have only been publicly traded for around 12 months. During this period there’s not been much action in the shares. The company came to the public markets via way of a reverse merger into Capitol Acquisition Corp II a SPAC, which was renamed Lindblad on completion of the acquisition. This structure is unusual and has scared off some potential investors, but any doubts should be allayed by the fact that Sen-Olof Lindblad, who founded the company in 1979 and has remained at its head ever since owns around half of the outstanding shares. Concerning ‘skin in the game,’ it’s difficult to be more invested than Mr. Lindblad. Before 2015, Lindblad expanded adjusted EBITDA by 27% per annum between 2010 and 2014 while revenue grew 15% CAGR. At the time the business was drumming up investor interest to go public, management was promising the doubling of EBITDA between 2015 and 2020. Lindblad hasn’t stopped growing just yet. The company has two new ships on order for delivery during the next five years. The ships have been self-funded from operating cash flow and cash on the balance sheet. As investments go, these two new boats define how attractive Lindblad is as an investment. When in service, the ships are expected to generate annual EBITDA of $8 million by the second year on duty for a cost of $40 million. Over the long-term new builds are estimated to have a return on invested capital in excess of 20%, well above Lindblad’s cost of capital no matter which funding route it uses. The first of the two new builds is expected to be delivered during the first quarter of 2017 with the next planned for delivery during the second quarter of 2018. To help drive long-term growth the company recently acquired travel agency Natural Habitat and has plenty of firepower for additional acquisitions. At the end of the third quarter cash and cash equivalents were $149 million. During the three-month period, the company generated $15.7 million from operations and spent $50.6 million on new ship acquisitions. The purchase of Natural Habitat added $14.6 million in sales to Lindblad’s top-line during the third quarter and boosted adjusted EBITDA by $625,000. The company also has a $35 million stock and warrant repurchase plan in place. Lindblad is a well-run business with a high return on capital, high inside ownership, deep business moat and room for steady growth over the next five years and unfortunately, the market has recognized the company’s attractiveness. Lindblad’s valuation is not what one would call cheap but considering the company’s growth projections and compared to its peers; the shares might turn out to be a very lucrative long-term investment. For example, at the time of writing shares in Lindblad are trading at a forward P/E ratio of 29.6, compared to Carnival’s 14.9, Norwegian’s 12.2 and Royal Caribbean’s 12.7. Factoring debt into the equation, however, gives a different picture. Lindblad is currently trading at an EV to EBITDA ratio of 11.3 compared to 10.1, 12.4 and 12.2 respectively for the three cruise line operators above. Lindblad deserves to trade at a much higher multiple. For full-year 2015, the company reported a return on equity of 21.8%; the other three operators all chalked up returns on equity of less than 12% for the year. Further, as noted above during the past five years Lindblad’s revenue and EBITDA has grown at a high double-digit percentage every year. Only Norwegian has produced a performance to rival that although unlike Lindblad, Norwegian has doubled its net asset base over the same period. Lindblad’s earnings have grown while assets have remained constant. Overall then, Lindblad is a very attractive small-cap extremely worthy of further research. Interested in more small-cap ideas? If you’re looking for more ideas like Lindblad, why not subscribe to our quarterly publication Under the Radar Small Caps. Across 25+ pages we detail actionable value investment ideas from qualified investors, with deep dives on at least four under the radar small-caps. Take a look at and download this no obligation teaser. And if you want to buy the last issue, sign up for a whole year, or just find out more about what’s on offer, click here. One fund manager in the previous issue returned 85% for his investor last year! Disclosure: The author may own one or more shares mentioned within this article. For a full list of the author’s holdings click here.